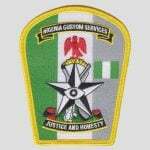 Award winning rapper, Olamide Adedeje, also known as `Olamide Baddo’ has appreciated his fans for the one million views of his latest and controversial music video ‘WO’ on YouTube. 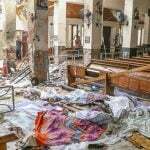 The suicide bomber waited patiently in a queue for the Easter Sunday breakfast buffet at Sri Lanka’s Cinnamon Grand hotel before setting off explosives strapped to his back. 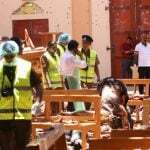 The toll in a series of eight blasts in Sri Lanka on Sunday has risen to at least 207, with over 450 people wounded, police spokesman Ruwan Gunasekera said. 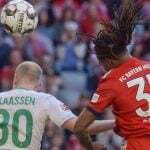 One-time wonderkid Renato Sanches has repeated his desire to leave Bayern Munich after another year in which he has struggled to break into the first team. 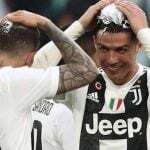 Massimiliano Allegri insisted that Cristiano Ronaldo was the future of Juventus and the Portuguese superstar said he was “1,000 percent committed to staying” but despite sealing an eighth consecutive Serie A title the Turin giants need to find more if they want to conquer Europe next season. 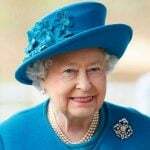 Britain’s Queen Elizabeth II celebrates her birthday on Sunday, marking 93 years in the public glare. 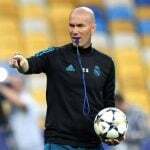 Madrid reappointed Zidane as head coach in March after failed experiments with Julen Lopetegui and Santiago Solari during a desperately disappointing season by their own lofty standards, which has seen them fall way off the pace in LaLiga and crash out of the Champions League to Ajax in the last 16. 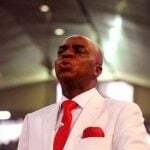 Founder, Living Faith Church Worldwide, Bishop David Oyedepo, has berated African leaders, saying that they lack character, capacity and courage, three virtues he said they must have to move the black continent out of the woods. 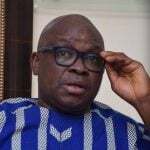 Mr Ayodele Fayose, ex-governor of Ekiti, in Easter message, has pleaded with Nigerians to keep hope alive on the challenges facing the country. 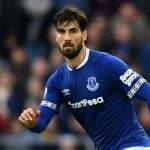 Everton midfielder Andre Gomes has been suspended for three games after accepting a charge of violent conduct.